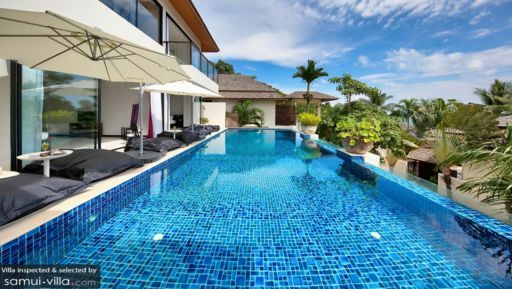 Most villas in the vicinity of Bo Phut and Big Buddha enjoy a prime beachfront location - and even if yours doesn’t, you’ll just be a skip away from the coast. A scenic landscape made up of rugged coastlines and lush greenery wraps around your villa to create a picture-perfect environment. Of course, you’ll have all the essentials - like impeccable service, ultimate privacy and a full range of modern amenities. 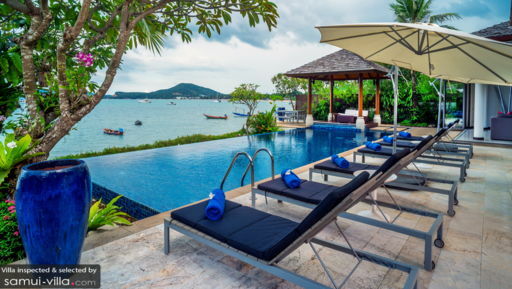 Soak up the tropical vibes at Bo Phut Beach. While much of the beach gets narrow at high tide, the absence of girlie bars in the area creates a family-friendly setting ideal for villa vacationers with young children. Samui’s iconic Big Buddha Temple (or Wat Phra Yai) is a must-see attraction to be included in your itinerary, as is watching a traditional dance performance at the atmospheric Spirit House Village (about 20 minutes’ drive away). On relaxed evenings, venture out to Fisherman’s Village, a charming hub home to a variety of shops and high-end dining establishments. Unwind with an incredible spa experience at Six Senses Spa - or have your villa manager call in a massage therapist for a private treatment. 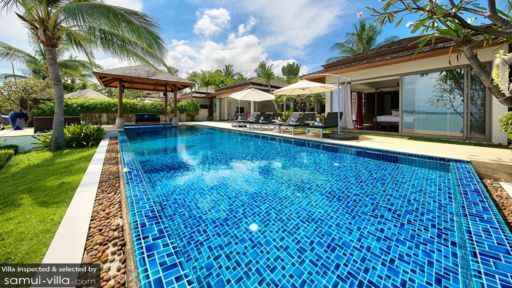 Another way to get your endorphins flowing is through a yoga session at The Yogarden Samui (19 minutes’ drive) or Vikasa Yoga Retreat (35 minutes’ drive). Dining options are plentiful in Bo Phut. Drink Gallery wins diners over with its stylish setting, Orgasmic dishes out exotic fusion fare, Barracuda @ The Wharf is known for its delectable seafood offerings and 9Gems Samui Lounge Restaurant is our venue of choice for romantic, intimate dinners. Bo Phut’s nightlife scene is rather subdued, which isn’t a bad thing at all if you’re looking to avoid the raucous venues of Lamai and Chaweng. Chill out with drinks at The Crow’s Nest or groove to hip-hop and house beats at Elephant Beach Club. Spend quality time with friends and family exploring sites like Samui Cultural Centre (55 minutes’ drive), Secret Buddha Garden (about an hour’s drive) or Canopy Adventures (37 minutes’ drive). Or explore the island on two wheels in a half-day or full-day tour with operators like Samui Bicycle Tours. The beautiful Ang Thong Marine Park, an archipelago of 42 islands is a popular offshore destination with myriad attractions and activities - from sunbathing and swimming, to kayaking and snorkelling. Speedboats depart from Nathon Pier, about 55 minutes’ drive from your villa, and travellers typically spend a day exploring the various islands within the marine park.